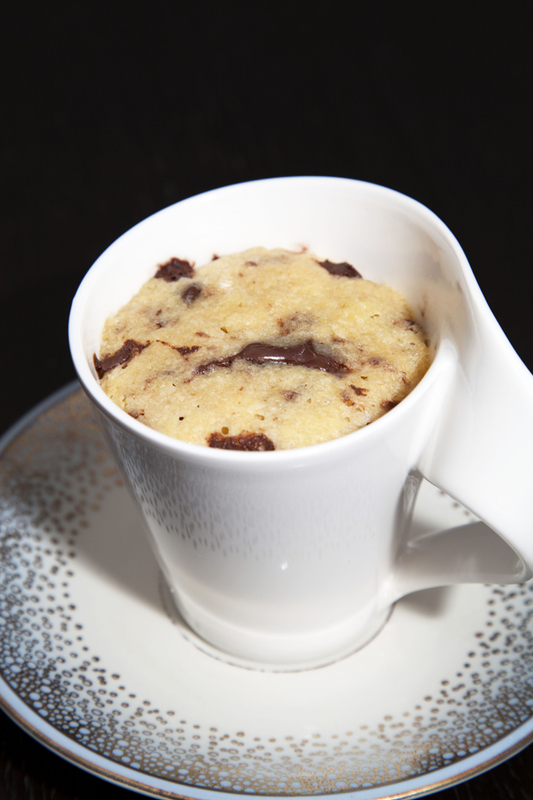 Mug Cake: Chocolate Chip Cookie in a Mug – Recipes. Simply delicious. Mug Cakes are the fast food of desserts and are a kind of mini cake in a mug: you only need 1 – 2 minutes to bake them in the microwave! – and unlike real fast food, you know exactly what ingredients are going into them. This Chocolate Chip Cookie Mug Cake is ready in just 5 minutes. Give it a try – this recipe, along with our other Mug Cake recipes, won’t disappoint! Set the butter out at room temperature to soften or put it in the microwave for 2 minutes on 360 C to melt it. Add the sugar and the brown sugar to the butter and mix well. Finally, separate the egg yolks from the egg whites and mix the yolks in with the sugar and butter. Save the egg whites in a separate bowl for another recipe that called for egg whites only. 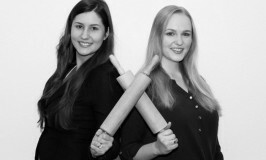 Stir the flour and pinch of salt into your mixture and continue to mix together until you have a smooth dough. If you have chocolate chips, fold them carefully into the dough. 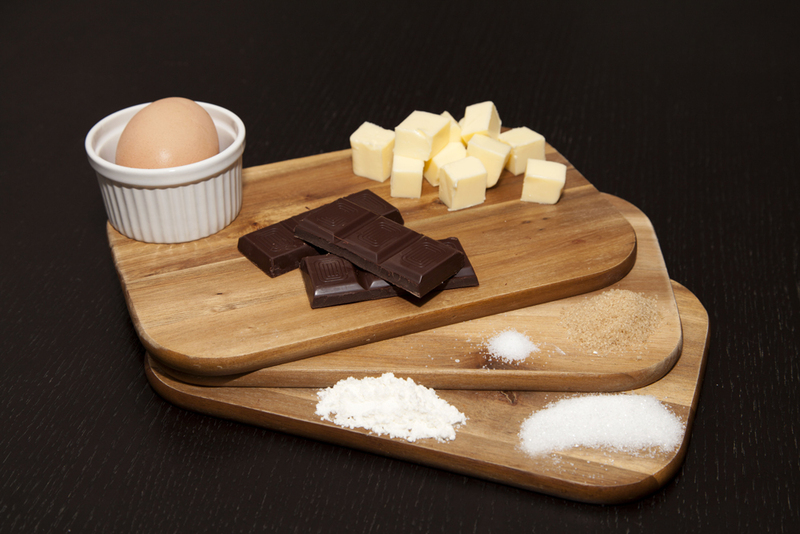 Alternatively, you can simply chop bittersweet chocolate into pieces and add that to the dough. 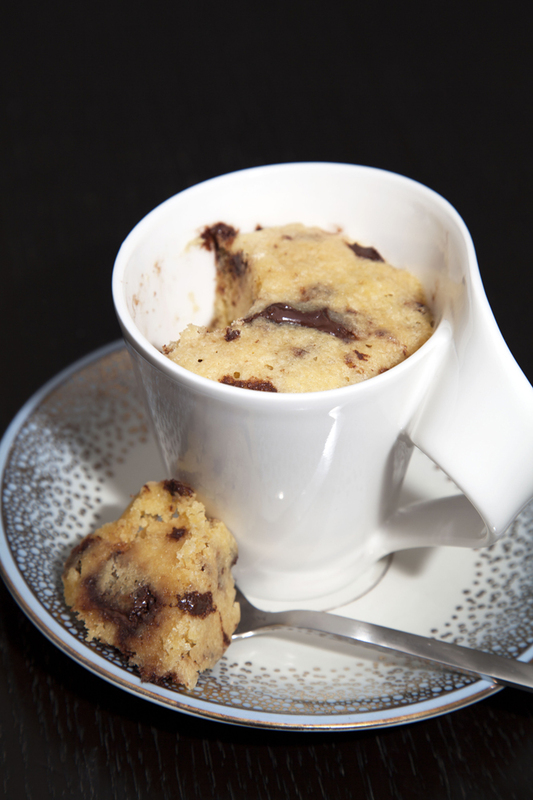 Fill 1 or 2 mugs with your finished Chocolate Chip Cookie Mug Cake dough and bake at 900 C for 1 minute in the microwave. Because not every microwave is the same, the first time you make these you should stand at the microwave and watch as the Mug Cakes bake. If when the minute is up they are still too moist, let it bake for another 30 seconds to 1 minute. That’s how quickly you can make a wonderful, warm, fragrant Chocolate Chip Cookie Mug Cake – and with a scoop of vanilla ice cream on top you have a perfect, delicious taste in every mouth full.